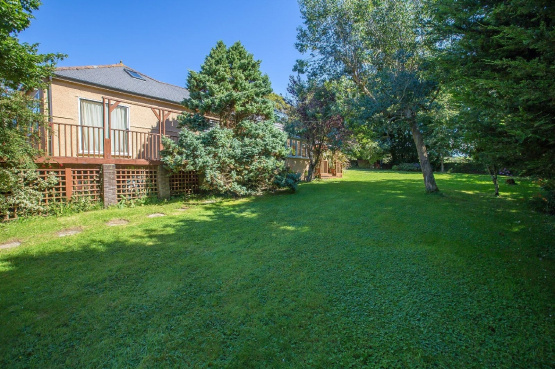 You get the best of both worlds with a detached property offered by Marchand Petit in the sought-after village of South Milton which is within 2 miles of the fabulous beaches of Thurlestone Sands and South Milton Sands. Hillcrest sits in glorious gardens of about half an acre, with secluded lawns and enjoys the ambience of a low-level stream and patio seating area. With a double garage and parking area, this property really is the full package. Inside, there is a generous living room with sliding doors giving access to a south facing conservatory. The master bedroom has an en-suite and with an additional double room in the roof space, Hillcrest could possibly make a bed and breakfast in this popular location. Country and seaside living all in one. Hillcrest is offered for sale at £550,000. For further information please contact Marchand Petit’s Kingsbridge office on 01548 857588, email kingsbridge@marchandpetit.co.uk.